I hope you’ve all managed to survive your first week back with a minimum of early morning classes, surprise pop quizzes, or Pokemon Go-related accidents. Sure, you’ve got another long week ahead of you, but at least there’s always Friday to look forward to, and with it, our Friday screening! 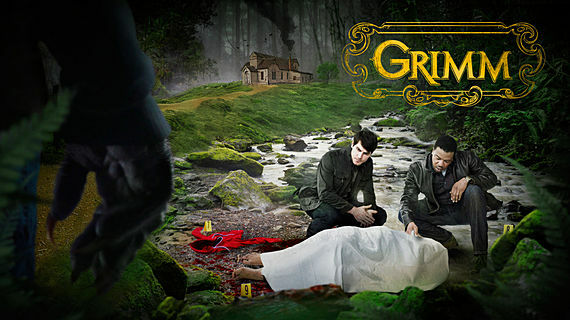 This week, we venture into the wilds of Portland, Oregon with season five of Grimm. It’s been a pretty wild ride so far this season – Juliette was dead, and then she wasn’t, Rosalee got caught up in the creepiest Peter Pan story ever, and Nick and Adalind managed get themselves into a romantic subplot, because heaven forbid we not have one of those. As per usual, we’ll be kicking off at about 5pm in the Macauley Theatre, with a pizza run for dinner around 7ish.